On November 8th, FIAA Board met with its Members and presented the results of the conducted Survey on Business Compliance. The survey was focused on the issue of Business Integrity, as an important element for the business climate in the country. FIAA believes that talking and practicing good ethics, values and integrity in business is an integral part of the core values of the functional economies and necessary to fight corruption and to build transparency. The Survey’s outcomes were presented and discussed in a dedicated roundtable together with the participation of the Head of Anti-Corruption Unit at the Council of Ministers of Albania, as well as one Member from the Vetting Commission, an important tool for the implementation of the Justice Reform Process in Albania. 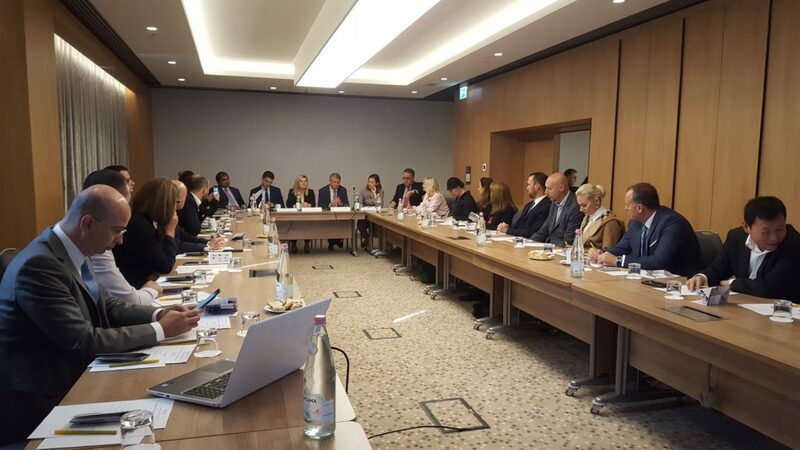 During the meeting, Statkraft and Shell Industries in Albania showcased their best models of Business compliance which may serve as an example to the companies in Albania. Among the findings, it was highlighted by the Respondents at a rate of 91.3% find the Corruption and Bribery in Albania as main obstacles in doing business. As a guest Speaker in this Roundtable, the Head of Ani Corruption Unit Mr. Pirro Vengu explained the role of his Unit and the approach they are using in fighting corruption practices thus, trying to help Business overpass this difficulty. Mr. Vengu found very interesting the results of the Survey considering them an important indicator for the fighting of Corruption phenomenon. An interesting Intervention in this Meeting was also the Introduction of the work and the so far achieved results of the Vetting Commission by Mrs. Etleda Kaja. Also, Mrs. Kaja encouraged the business to contact the Commission directly and address all the unfair practices and corruption cases they have faced while operating business activity. Click here to access the Survey findings.